What is the NDIS and what does it mean for us? The NDIS gives people with disability the support they need to live full and independent lives. The NDIS is rolling out until 2019. Eligibility for the NDIS depends on where a person lives and the nature of their disability. How do I prepare for a NDIS planning meeting? Information to help you understand and prepare for NDIS planning. The person I care for has their NDIS plan, what now? What people need to do to implement a NDIS plan and start receiving supports. How can Yooralla support the person I care for? 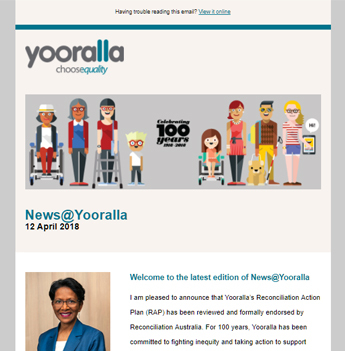 Yooralla supports Victorians with a wide range of tailored, flexible and quality supports. Read answers to frequently asked questions about the National Disability Insurance Scheme (NDIS) for carers of adults.